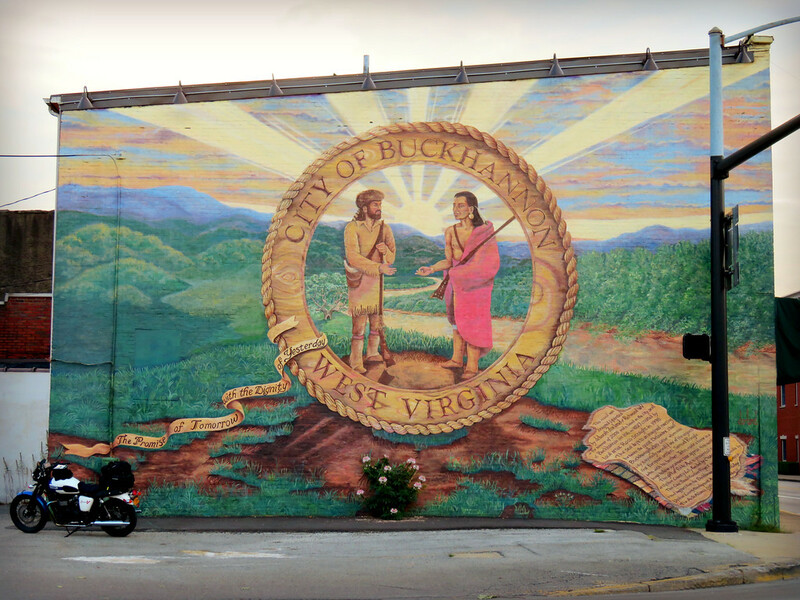 When I rolled into Culpeper, Virginia I was charmed by the small town America vibe. 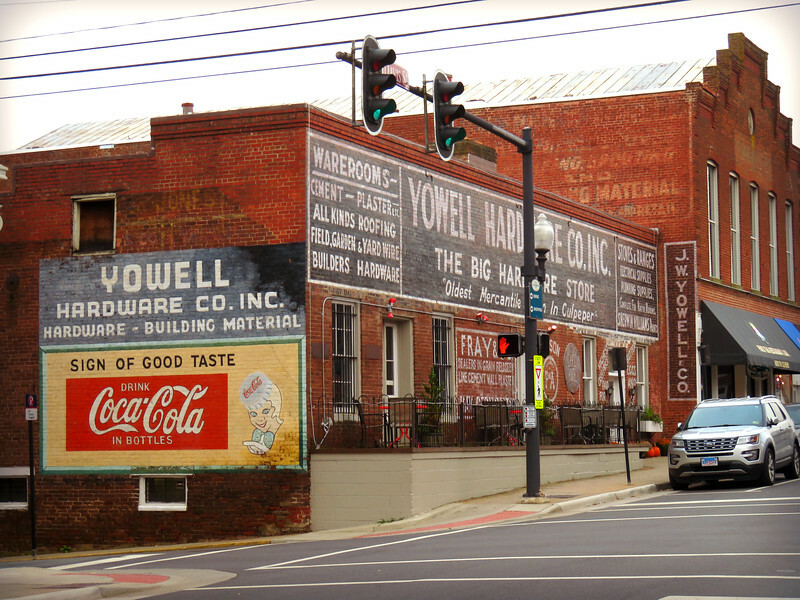 At the heart of things is a lovely main street lined with well-manicured restaurants and shops. 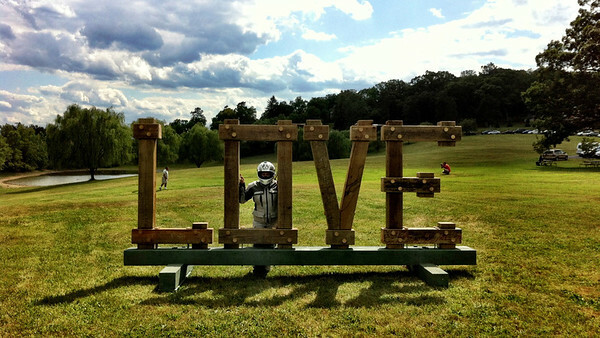 What pulled me to Culpeper was my worst addiction, the drug I crave most: Love. But before I could even get to the love, something else beckoned. I’d come looking for love but found something else I needed first. It was only once I’d found hope, that love was just ’round the corner. 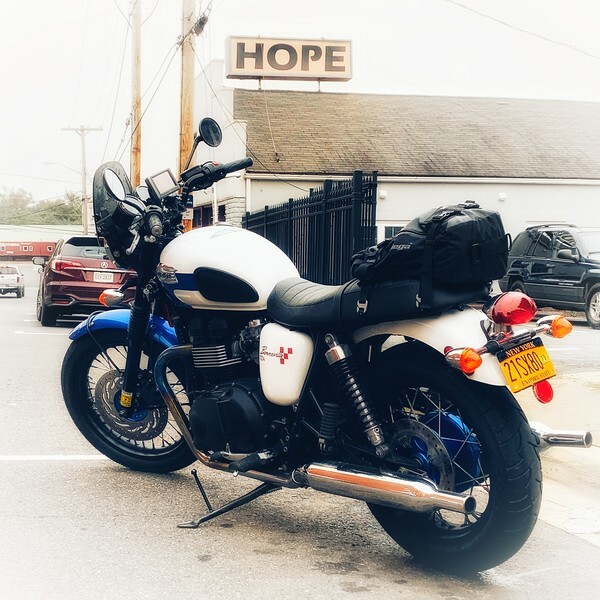 After leaving the town of Buckhannon, West Virginia then stopping at the tiny Randy Brown Memorial Chapel – I wound my way across the mountains down 219, across 250 and into the town of Monterey, Virginia. 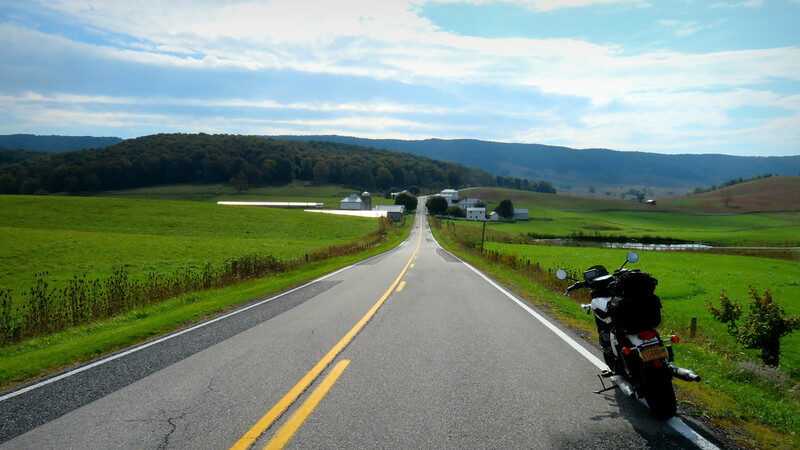 I’ve ridden this section of Route 250 quite a few times and it never disappoints. After all, it has big wide valleys, toe-scraping hairpins, and little traffic. But, there was actually a method to my madness. Since I was in the neighborhood, I thought that I would stop in to see one the many LOVEworks that Kathy has documented in her travels. There’s always room for a little more love in your day. 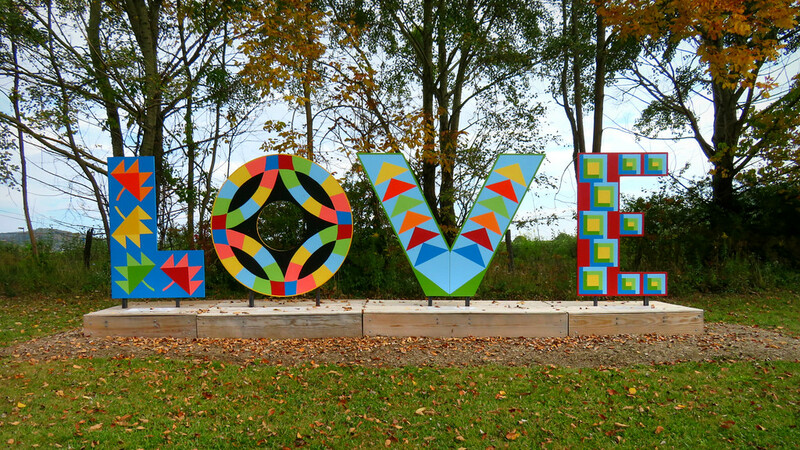 Done up in a barn quilt motif, the LOVEWork sits in a park just south of the intersection of 250/220. 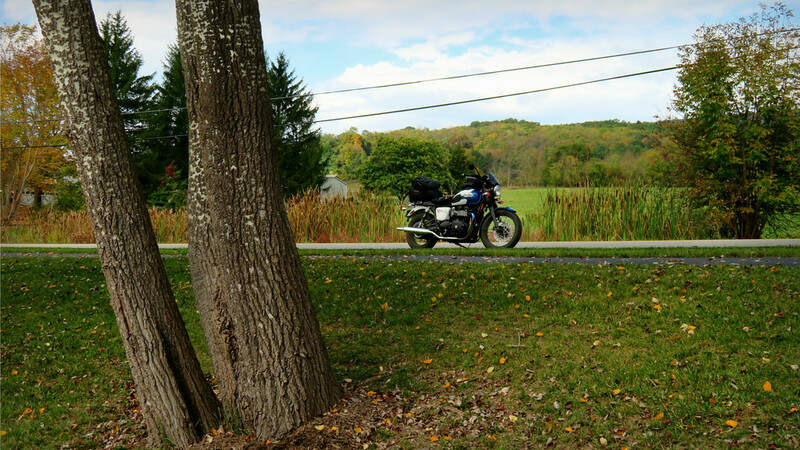 After snapping a few photos, I made my way back to the Bonnie in search of twisties. In this corner of the world, they aren’t hard to find. 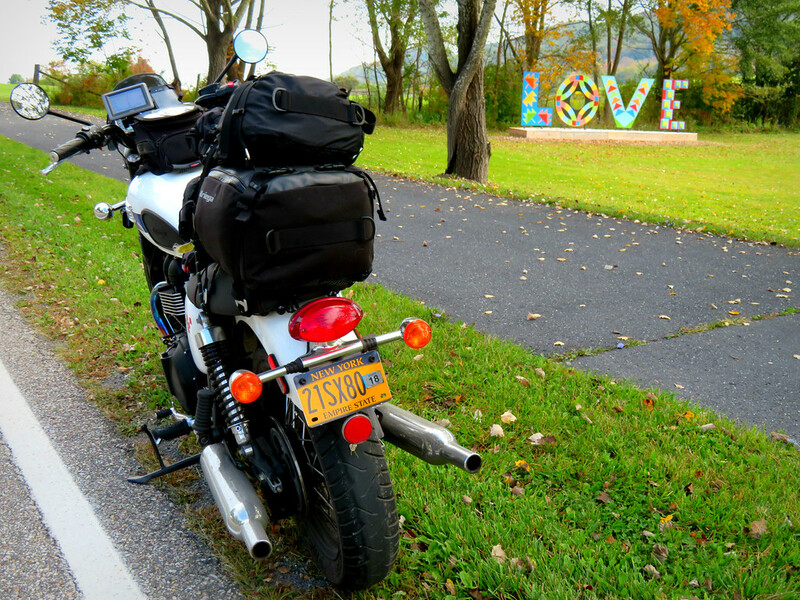 Things I Think About While Riding – Is Love Based on Proximity? While riding through rural Kentucky, past lonely tobacco farms I couldn’t help but wonder about the lives of the people who toil away on them. The farmhouses sit far apart with big fields and tracts of land between them. How do people find each other and fall in love there? Are small towns and remote villages a testament to the idea that humans are resilient and will simply pick from the best of the readily available pool to keep the species going? A nod to “love the one you’re with” and “what’s love got to do with it?” at the same time. Realistically, I’m sure that’s the case. But as a lover of the idealized need within people for romantic love, the concept of strictly working towards continuing the species seems kind of sad to me. Not to mention it’s also exclusionary for people who cannot procreate together. There’s just got to be something more to it. Right? Maybe in its infinite wisdom, the universe puts “soul mates” in each small town that dots the landscape. As people we just might be too dopey to leave our antennas up and so we aren’t always picking up the right channels. The fanciful part of me prefers to think that love is some divine thing that wraps its luminous threads around people and ties them together. When you’ve been struck by cupid’s arrow and it lights your heart on fire it is hard to imagine that it is anything but transcendent. I like that naïve idea better. 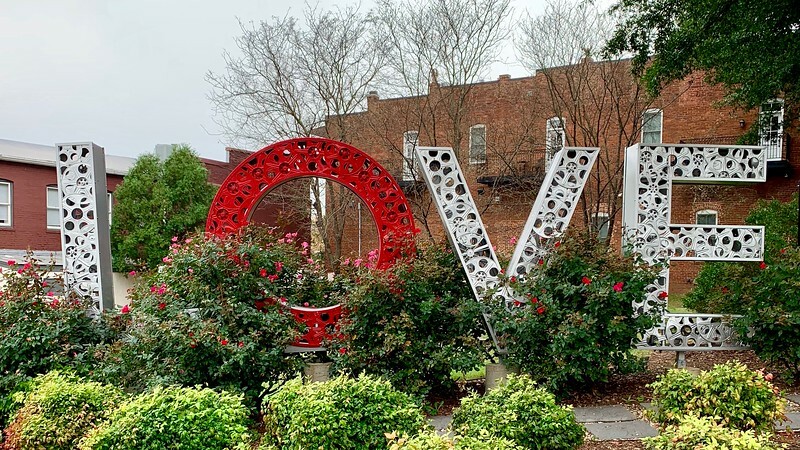 Apparently on the heels of their Virginia is for Lovers campaign of many years, the State of Virginia has adopted “Love is at the heart of every Virginia vacation.” With that they have installed LOVE sculptures around the state. As someone who is moderately obsessed with hearts and love… I was tickeled pink to see a few of them as we passed through the state!